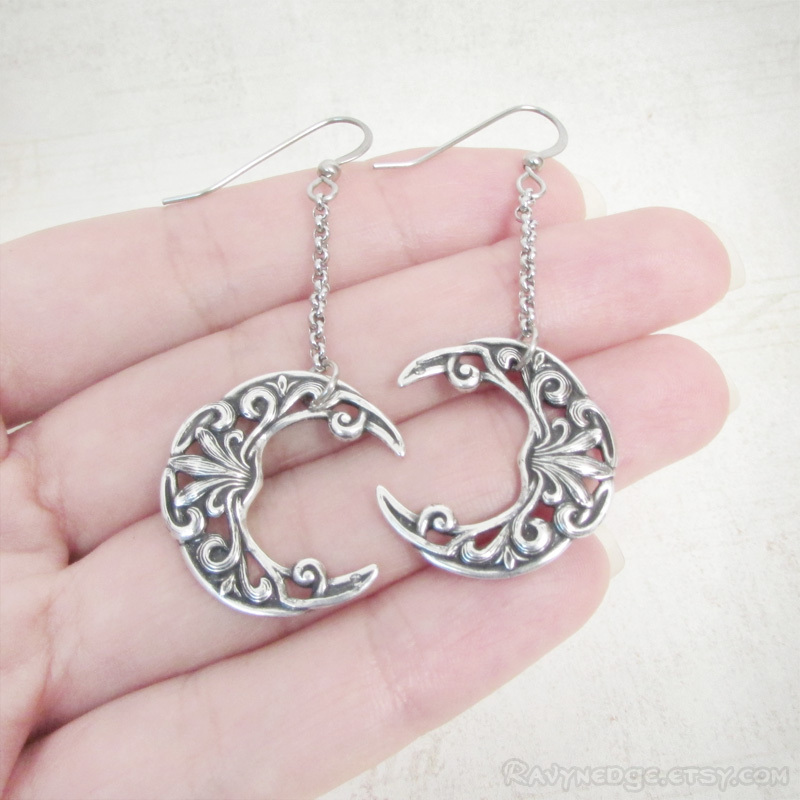 Pale Moon Drop Earrings - Silver Crescent Moon Dangle Earrings by RavynEdge. 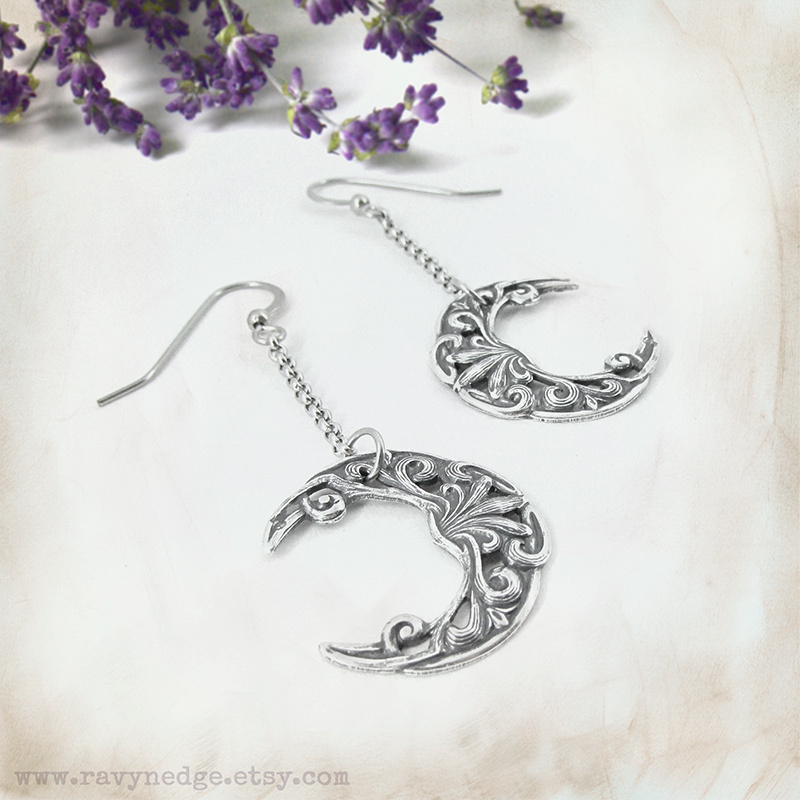 Detailed silver crescent moons dangle on elegant rolo chain. 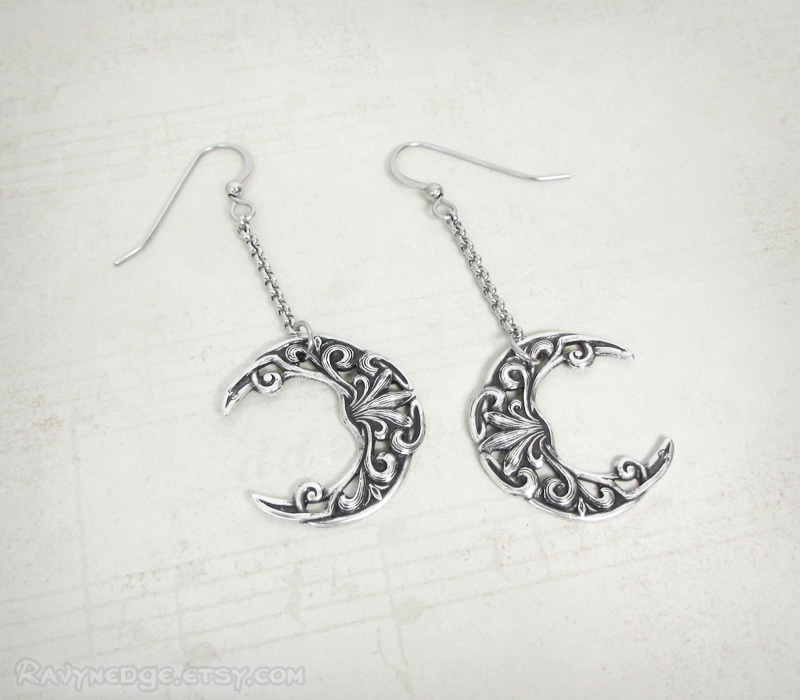 The easy movement of these moon earrings is sure to turn heads. Compliments any outfit. Ultra-lightweight and comfortable to wear. 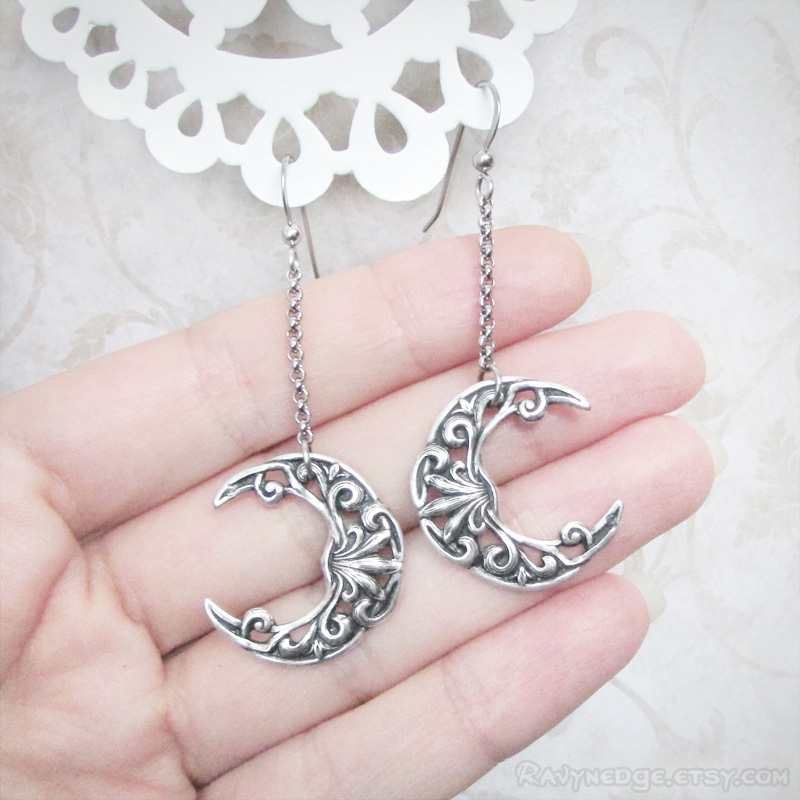 Measures 2.28 inches (58mm) from the top of the surgical steel earwire. 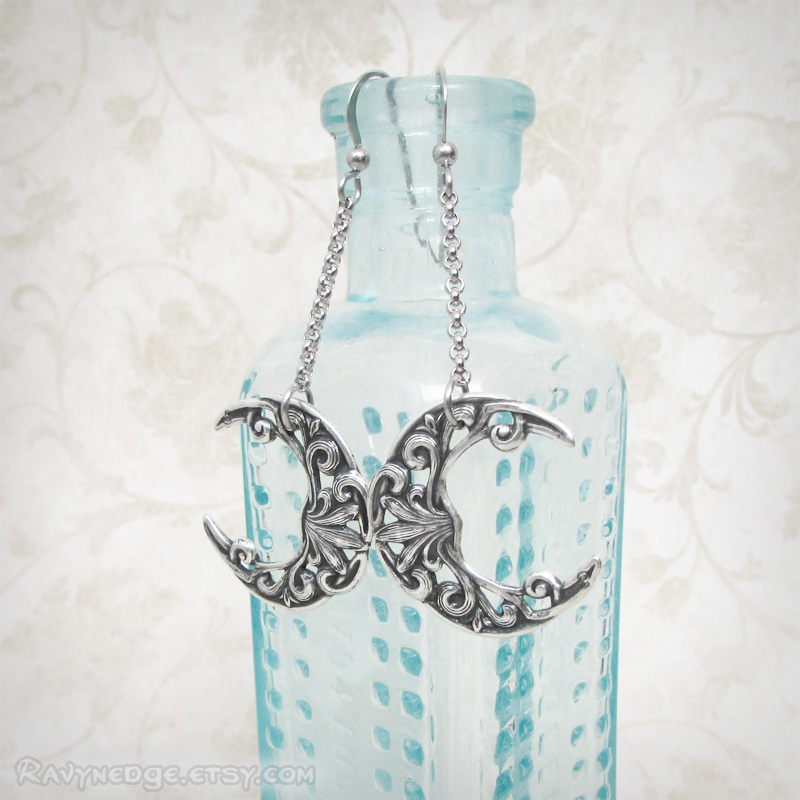 Includes a pair of 4mm clear hypo-allergenic poly-clutches which slip onto the end of ear wires to prevent loss.